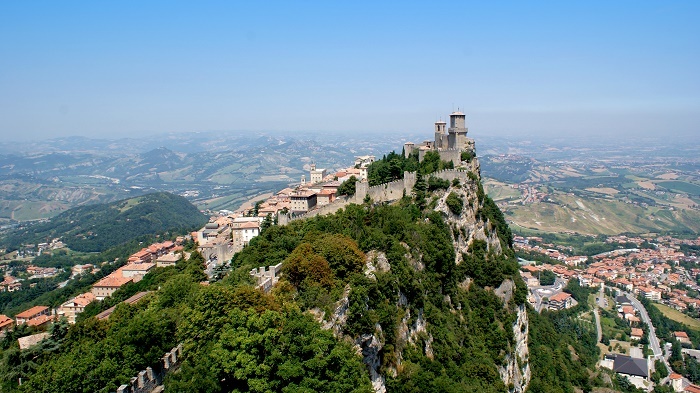 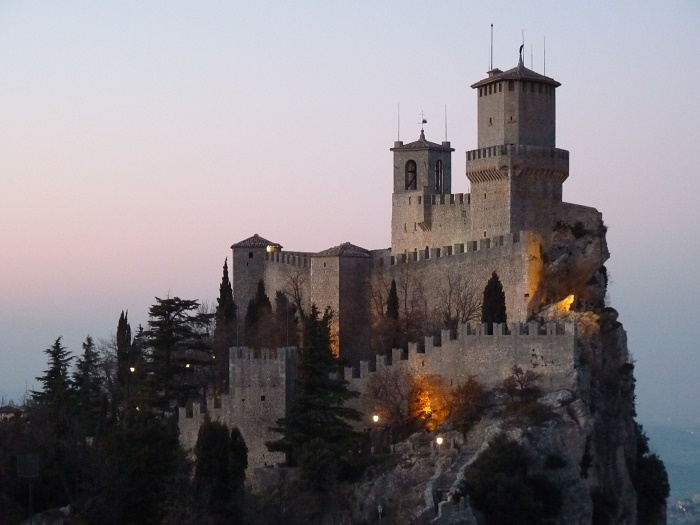 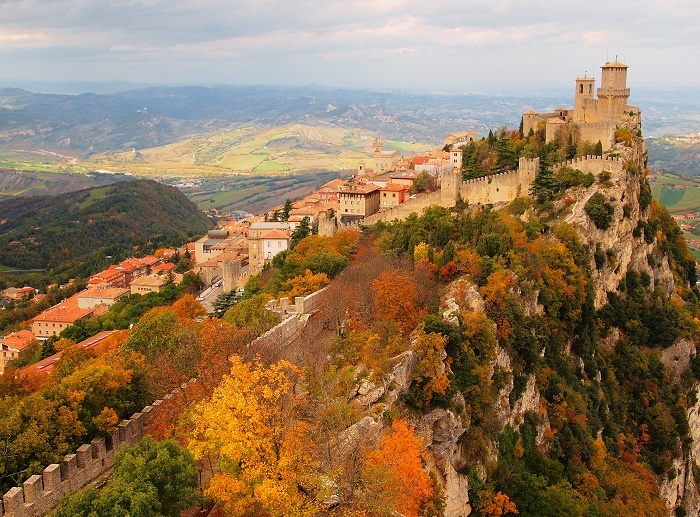 Fortress of Guaita is the oldest of the three tower constructed on Monte Titano, which is also the most famous, and located in the tiny Republic of San Marino, a landlocked country on the Apennine Peninsula. 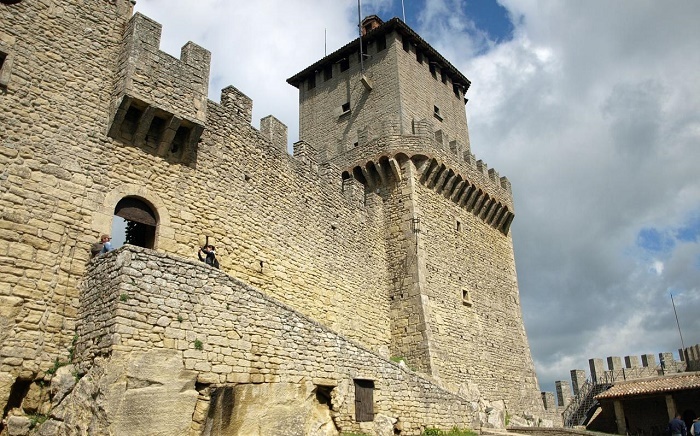 It is not very clear the exact time of construction of the fortress, however, it is assumed that it has began in 10th century, however, some source are stating that it was in 11th century. 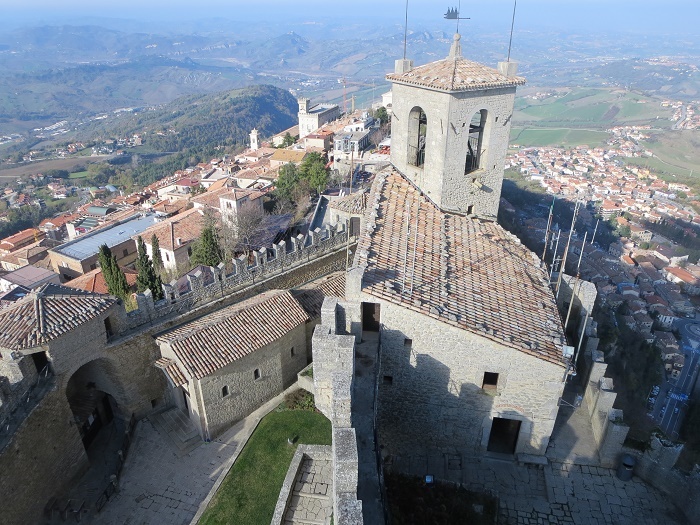 Briefly in the past the fortress served as a prison, and as an important national landmark of San Marino it is depicted as well on the country’s flag. 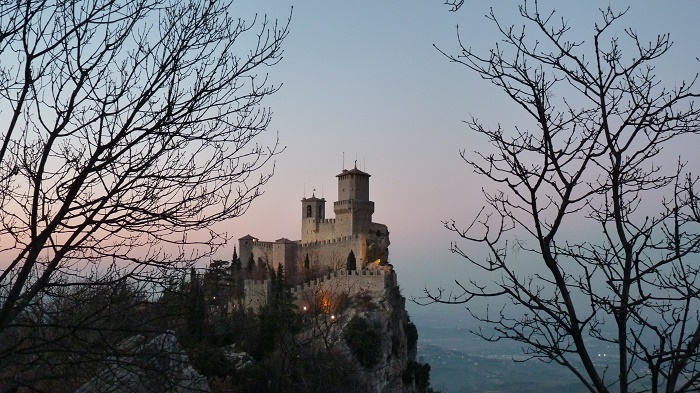 It is built on the rock with no foundation, with a pentagonal base, which has been reinforced many times in the past. 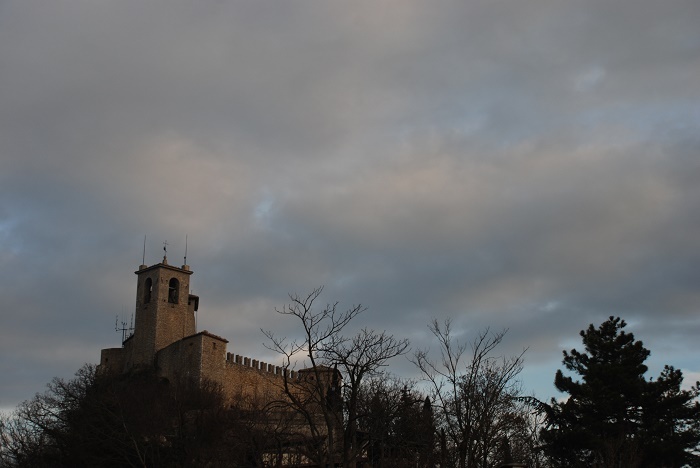 The baroque coat-of-arms in stone situated over the entrance is that of the Republic and dates back to the 1600’s, before that it belonged to the Palazzo Pubblico (Public Palace). 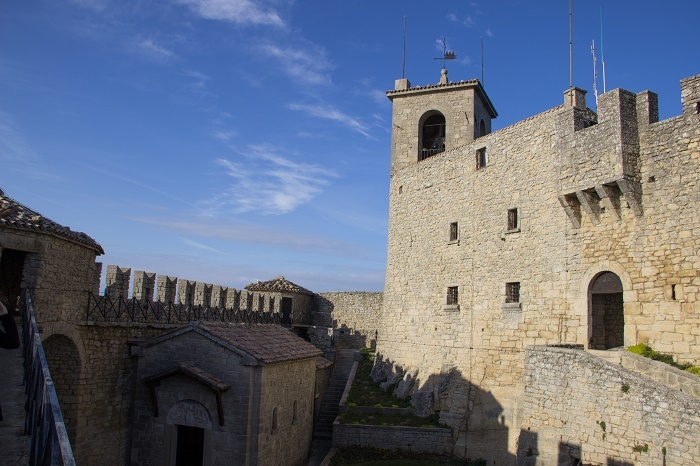 This remote fortress watches over the fifth smallest country in the world, and its internal wall stops at the Bell Tower on one side and the Pinnacle Tower on the other, where these elements were built centuries later. 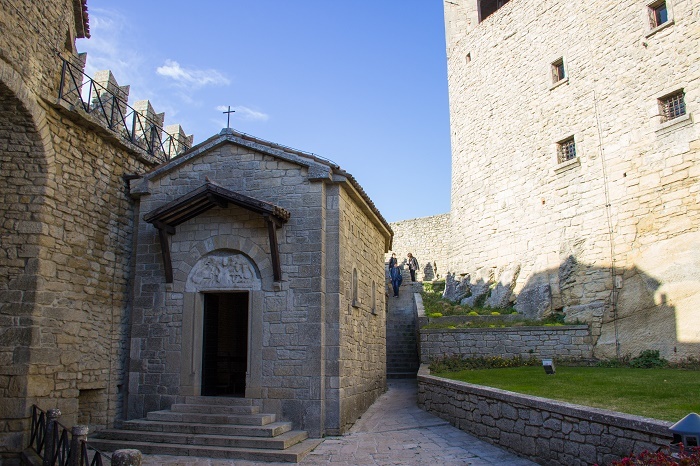 In the courtyard can be seen some pieces of artillery from World War II, two mortars, a a gift from Vittorio Emanuele II, two 75mm canons fired by the Guardians of the Fortress during national festivities, a gift of Vittorio Emanuele III. 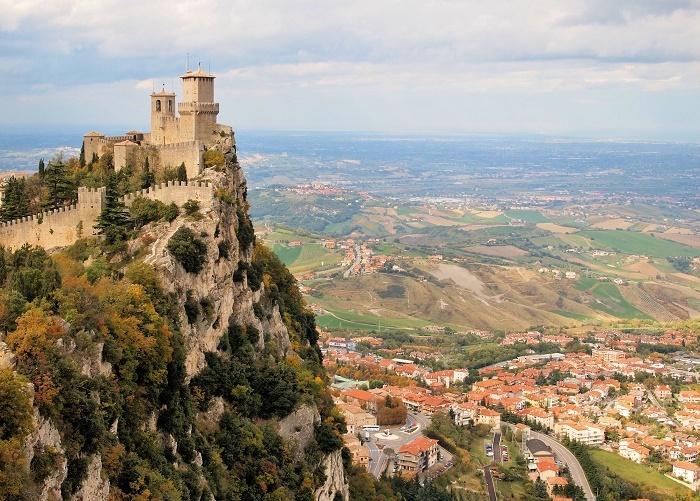 It was registered as one of UNESCO’s World Heritage Sites in 2008, and the people of San Marino can be truly proud of their history, since this Fortress has been looking over them for centuries, and it shall continue to do so.